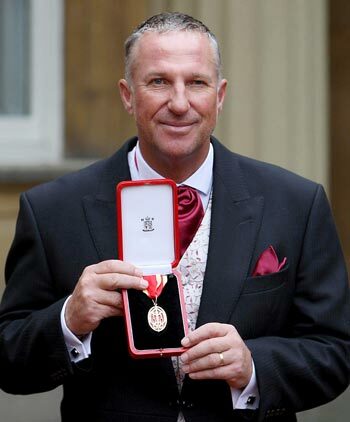 Legendary cricketer-turned-fundraiser Ian Botham will be starring in a Bollywood movie, it has emerged. The 54-year-old will play a role in the new film Patiala House which stars Akshay Kumar, Anushka Sharma, Rishi Kapoor and Dimple Kapadia. Botham aka Beefy will be accompanied by fellow England players Graham Gooch and David Gower on set. They will be filming for the movie in the coming few weeks in London. The movie about a young Sikh who battles to repair his dad's reputation after meeting a girl who gives him courage, reports The Sun. It is reported that the cricketing legends make an "amusing" guest appearance. Wasim Akram to coach Akshay Kumar? Salman or Akshay? May the best man win!